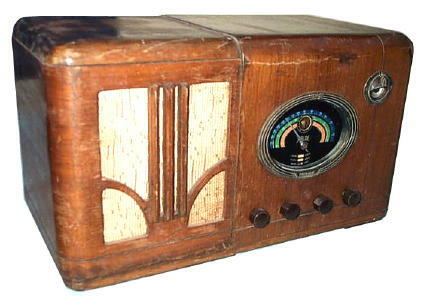 This Airline was purchased at a VRPS swap meet as my first radio with a tuning eye. The radio mostly needed cleaning and little electrical work. The chassis appears to be chrome plated and shined up nicely after cleaning. The tuning mechanism operates with a cloth type of belt that deteriorate over time. The belt was replaced with several turns of fishing line and tied together via a spring and worked relatively well.